Mines and Rocks Products (India) Pvt. Ltd. (MRPIPL) was acquired by Bharathi Cement Corporation Pvt. Ltd. in November 2010 and is its a100% subsidiary. 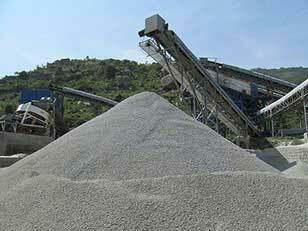 MRPIPL produces high quality coarse and fine aggregates for construction industry and has a production capacity of 350 TPH. MRPIPL's plant at Kanivenarayanapura village, Chickballapur District (65 kms from Bengaluru) has installed advanced stone crushing technology and has a hi-tech 3 stage crusher and sand washing equipment. It is the only commercial aggregate plant in the country to have two sand washing plants at the same location and produces Engineered Granulates (Aggregates) using the latest crushing and screening technology. 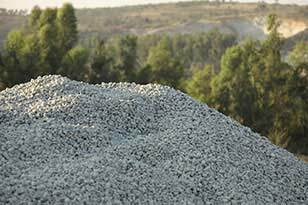 It produces world class quality aggregate in cubical shape in the sizes 12mm, 20mm & 40mm with least or no flakiness confirming to IS: 383-1970. E-sand is eco-friendly, easy to use and even the dimension is better than river sand. No need for screening, no wastage and is free from slit and other impurities. Double washed, slit free & 100% purified.